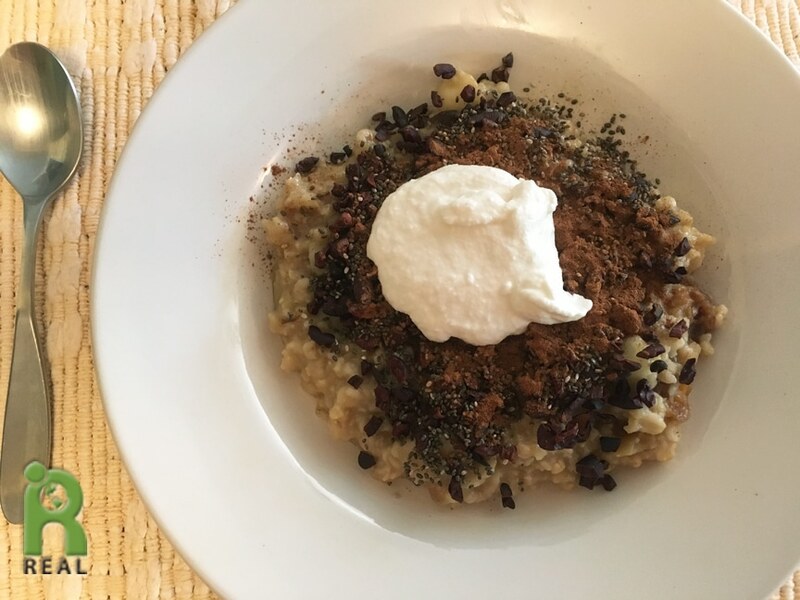 Breakfast: Yup, Steel Cuts Oats again, cooked with Apples and Apricots, topped with Chia Seeds, Cacao Nibs, Cinnamon and Almond Yogurt. I cold-brewed some Vanilla Black Tea which I had after my oats were done. 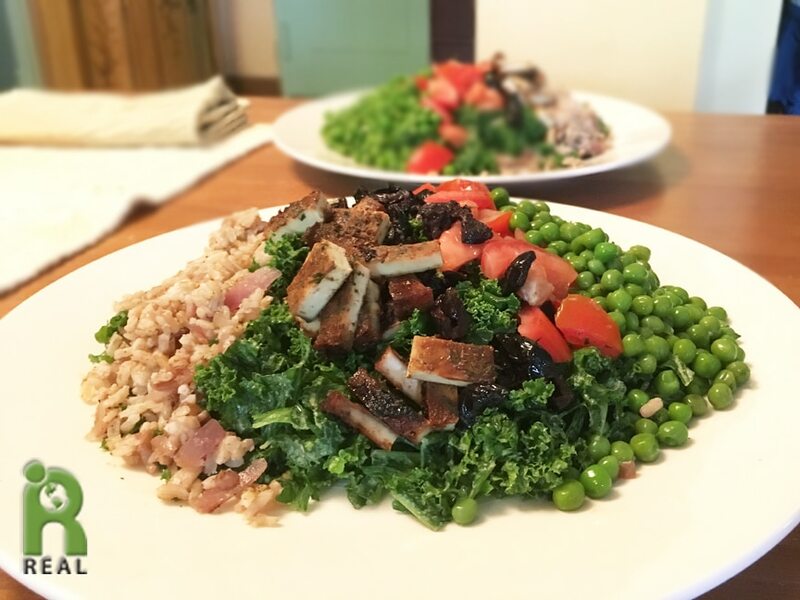 Lunch: Gary created this work of art for lunch with Brown and Red Rices, Peas, Kale Salad, Baked Tofu, Tomatoes and Black Wrinkled Olives. Snack: While working at the computer, Gary brought me a snack. A small bowl of freshly made Apricot Butter. 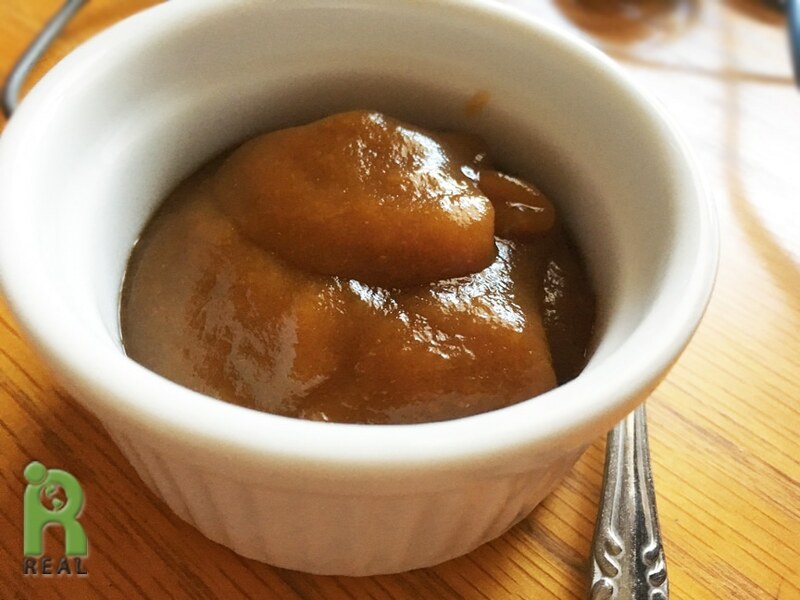 We sometimes call it baby food, smooth, sweet and yummy. Dinner: Leftovers? Sure! Especially when it’s Garlic Mashed Potatoes, topped with Mushroom Gravy and Nutritional Yeast and Mung Bean Dal. I ate the Potatoes and Dal separately. Gary poured the Dal over his Potatoes.